Saturday evening we attended a wedding for my cousin, and the kids spent the night at their grandparents house. Mr. J was planning on staying over again Sunday night, so we decided that we would take Mr. K out and do something special with him. 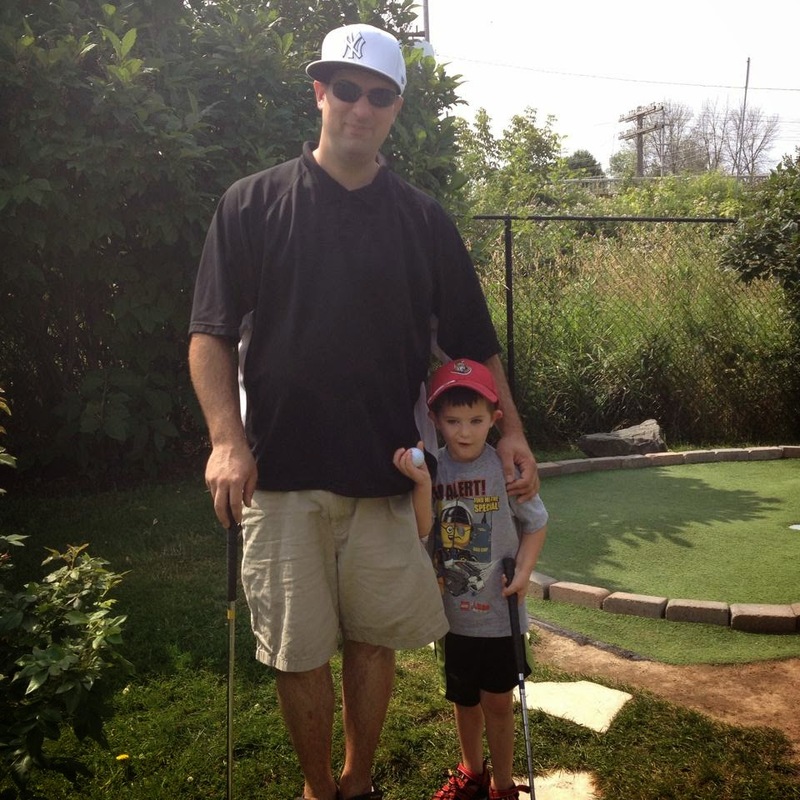 We decided that the 3 of us would go and play a round of mini-golf. 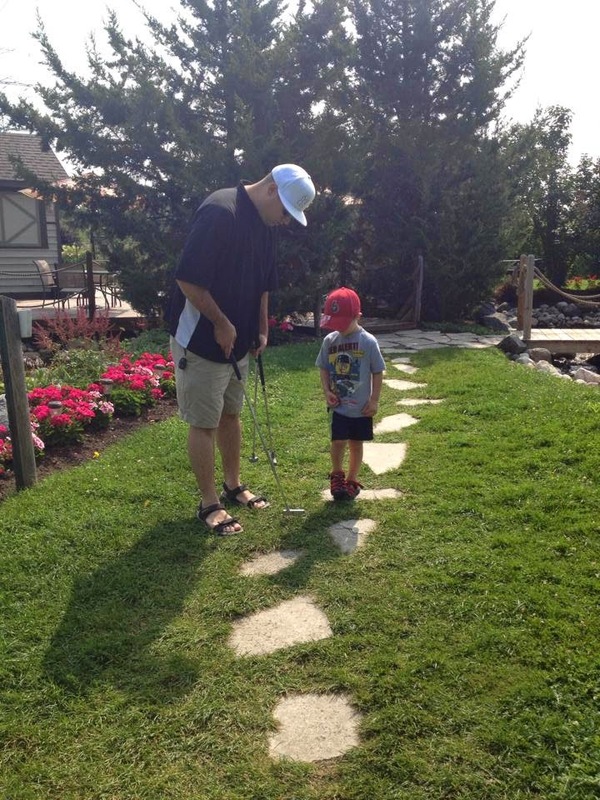 Hubby and Mr. J have gone many times over the past few years, but Mr. K has only been once (last summer). 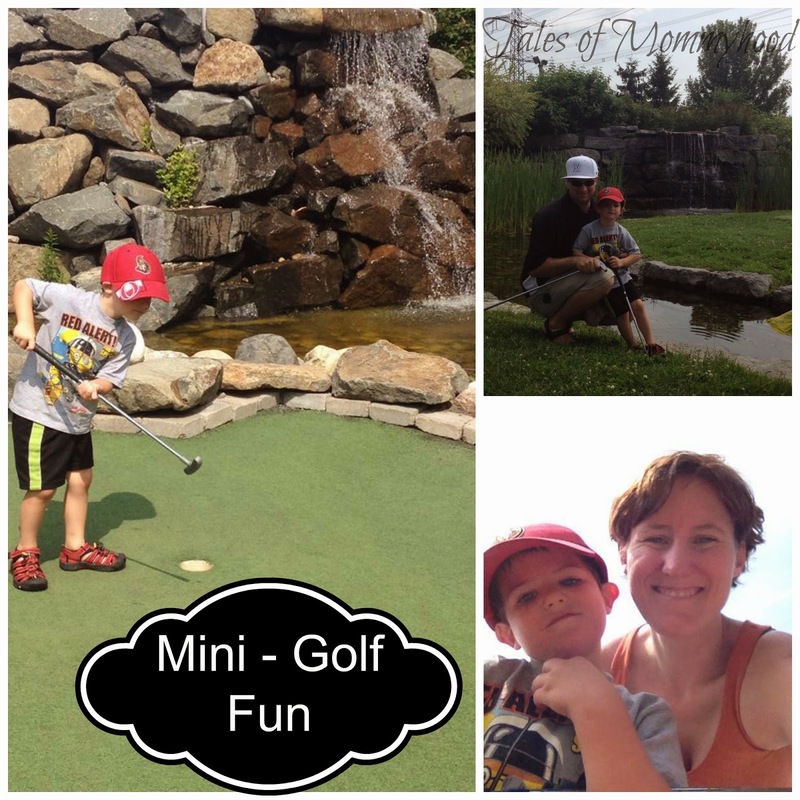 We headed out to Mini-Golf Gardens and paid for our round of golf. 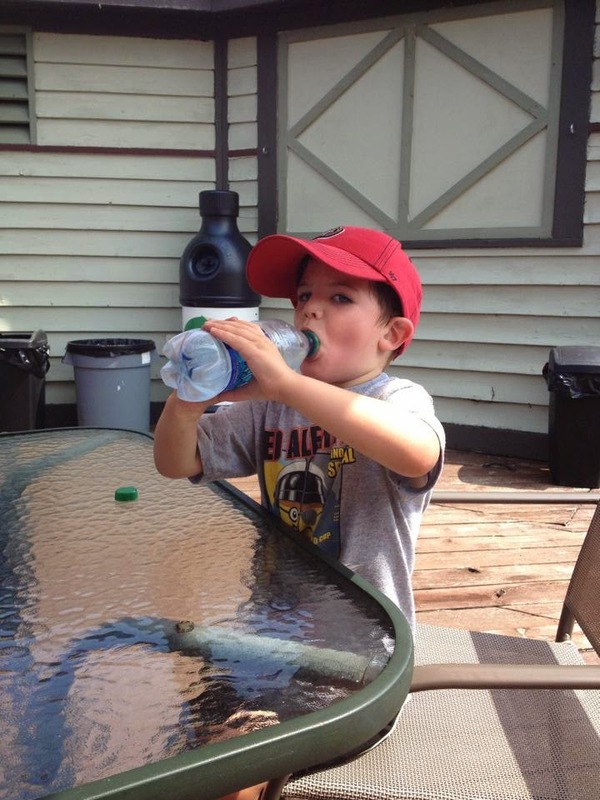 making sure to stay hydrated! 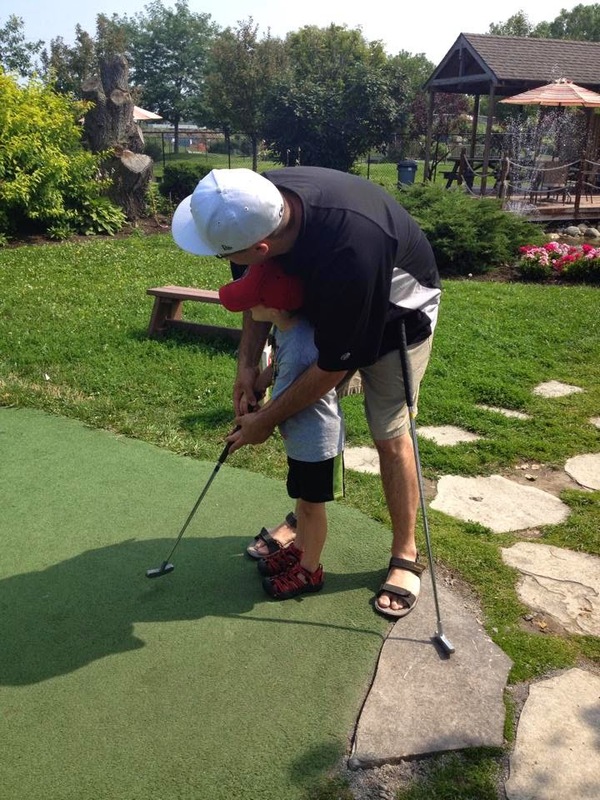 After the 5th or 6th hole Mr. K was pretty tired, but he managed to complete the rest of the holes. 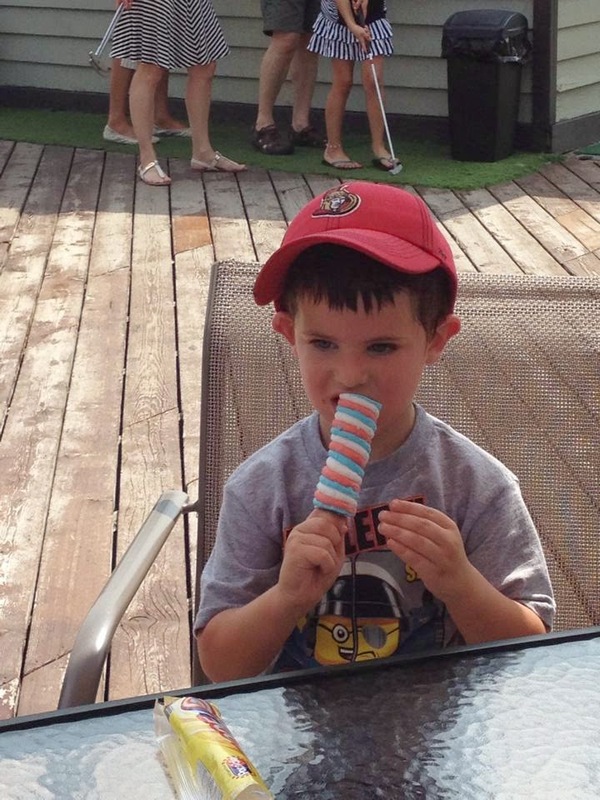 When we were finished, we went and sat at one of the tables and Mr. K had a popsicle to cool off. 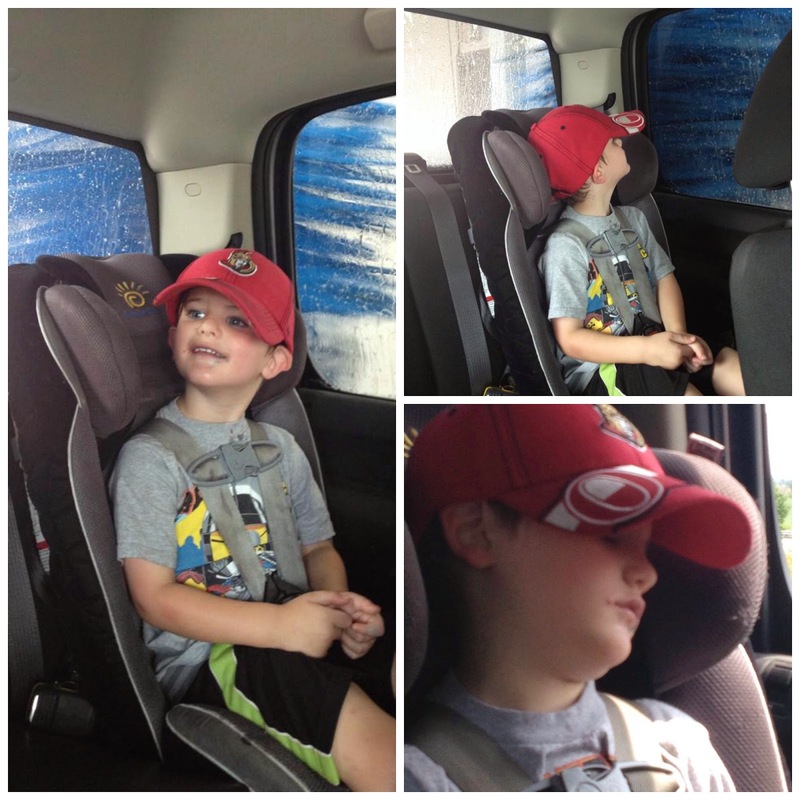 We headed to the truck and went to the car wash - a highlight for Mr. K; half way home, and he was fast asleep. This is NOT a sponsored post. 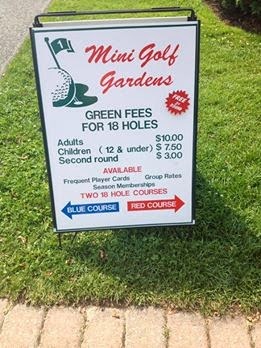 We paid for our round of golf and did not receive any type of compensation for this promotion. 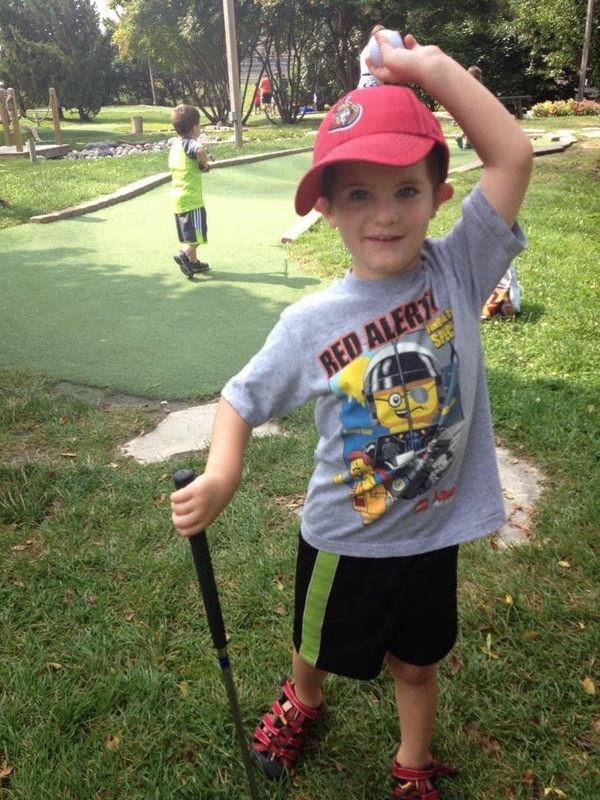 Love mini-putt! Its been way to long since I've been!